Preferences in shoes varies greatly from one person to another, but one thing we all have in common is a dislike for dry, flaky heels. Before you head off to those holiday parties, put just a dab of KMIG on each heel, rub it in, and smooth heels are yours! 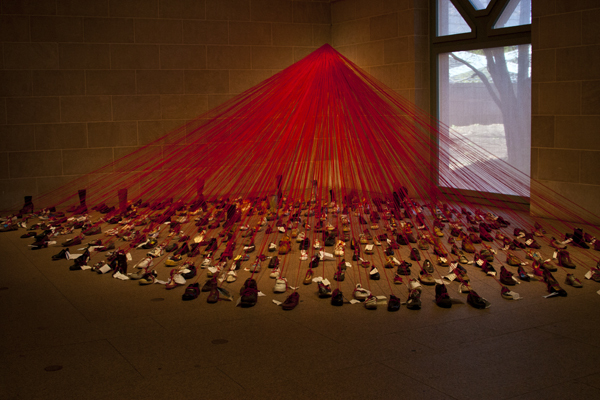 This amazing exhibit of shoes if currently on view at the Freer Sackler and will run until June 7, 2015. It was compiled by Chiharu Shiota and the photo was taken by Allen Richon.